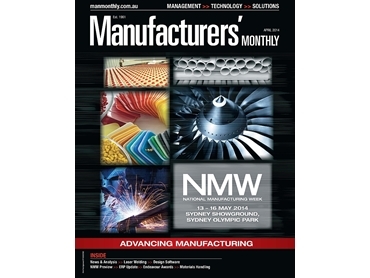 The digital edition of Manufacturers’ Monthly April 2014 is now available free for all readers. We alert all Manufacturers' Monthly newsletter subscribers when the latest digital edition is posted online. If you're not a newsletter subscriber, sign up now. It's real quick. Access the latest Manufacturers' Monthly digital edition now.